Most people associate global warming with industrial polluters. But people who work in office buildings can also significantly impact climate change by introducing energy efficiency measures to improve building operations. 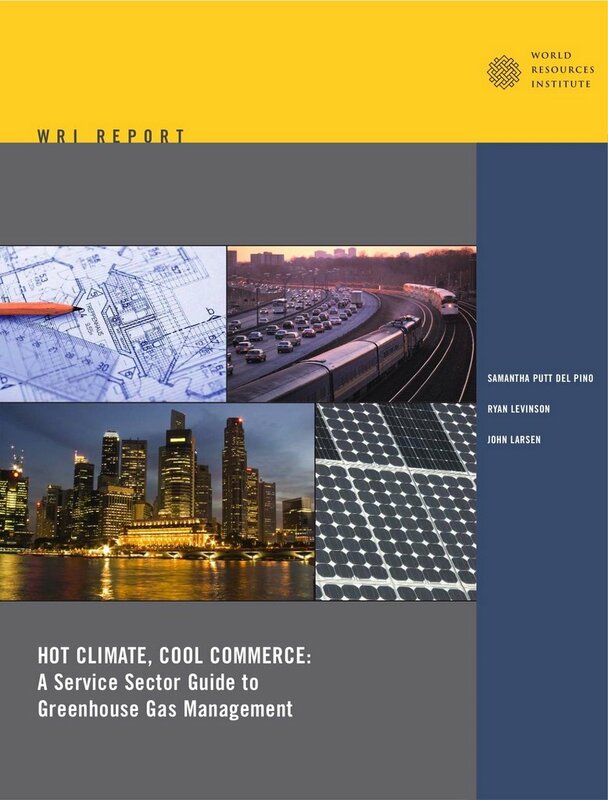 That is the major message in a how-to guidebook released earlier this week by the World Resources Institute (WRI) titled Hot Climate, Cool Commerce: A Service Sector Guide to Greenhouse Gas Management. “If you’re a building or operations manager at a bank, an insurance company or a retail chain, this guide lays out steps to measure greenhouse gas (GHG) emissions and implement solutions,” said Samantha Putt del Pino, who co-authored the guide with WRI’s Ryan Levinson and John Larsen. Case studies in the report detail how service sector companies have put programs in place to measure and manage their emissions and achieve energy savings. Among the companies profiled are Citigroup, General Electric, IKEA and Staples. All companies contribute to climate change through their electricity consumption for office lighting, cooling, computers, building equipment, and appliances, as well as fuel use for heating, business travel, and the distribution of products and materials. Electricity and heat (46%) and transportation (31%) are the two largest U.S. sources of carbon dioxide, which is the most common GHG. Reducing energy use and managing greenhouse gas emissions can also help build corporate value through competitive positioning, improved shareholder relations, and human-resource management advantages such as better recruitment and retention of employees. “Because the potential impacts of climate change are likely to escalate over time as gases continue to accumulate in the atmosphere, it is crucial that steps to reduce emissions begin immediately,” Putt del Pino added. To request a copy of the report, send an e-mail to [email protected] with the words “Global Warming” in the subject line of your e-mail. Next articleThe word from Bangalore: Facility management is hot!